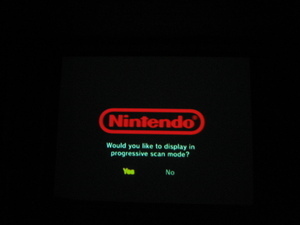 To watch Gamecube games in progressive scan, you need to have a gamecube with digital out. 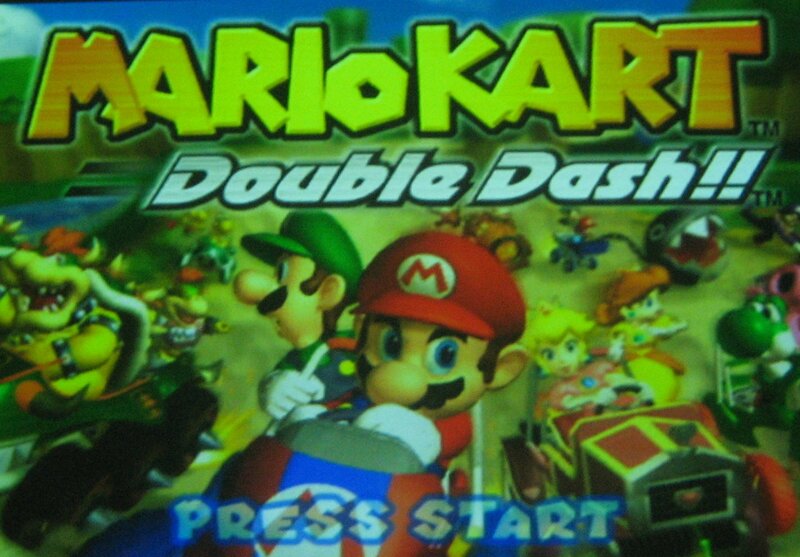 Since 2004, Nintendo took the digital port off the gamecube. You can get your gamecube replaced with a model with the port directly from Nintendo. Next you need the component cable. The cable is no longer available from Nintendo. You can get the cable directly from Nintendo, but they do tend to sell out quickly. There is a lot of people selling this cable on ebay for amazing profit, the retail from Nintendo is $29.95. For all you out there who are thinking of making a cable yourself now that Nintendo has stopped, please read this. My page on the component cable and another on dismantling the gamecube. Here is the difference in output from my projector (note, it's pretty difficult to take good pics, it's much better live than these pics can show :-( ). 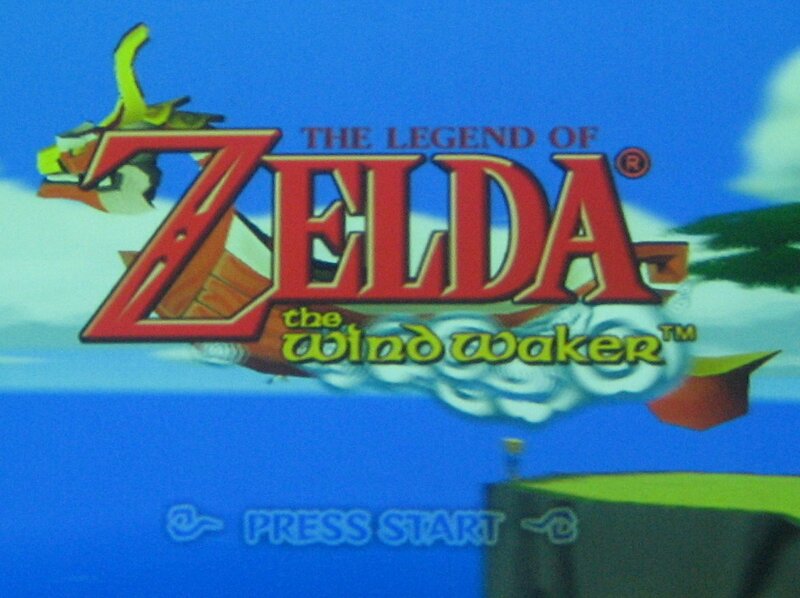 So yes, a gamecube can do progressive scan, and yes the picture is much much much better. And no, the composite are not out of focus, that's just what composite looks like on a 100" screen. Although, working out the holding down 'B' part could drive you nuts and make you do insane things. There's a really comprehensive list of games with 480p (as well as stuff like widescreen, DPLII, etc) at HDTV Arcade. It's worth a bookmark if compatibility with progressive scan is important to you. Also Nintendo don't make the component leads anymore but you can get one for a slightly more reasonable price than eBay from Play-Asia. It's Japanese but it's official and works on the US Cube. It's really annoying that these cables are around anymore... Play-Asia doesn't stock em and on ebay they go for 60$+shipping. 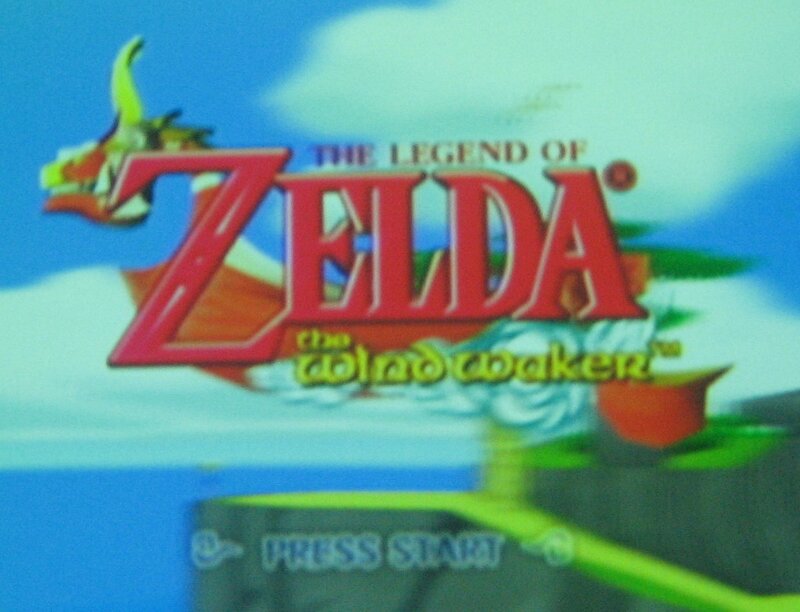 I care the most for clarity of picture, then size of display, hence why I'm using my gamecube on a 14" beautiful flat CRT Symphonic from Walmart. 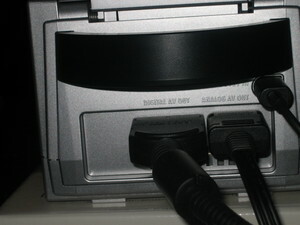 I want to hook it up to my 32" LCD but without these cables the picture is too washed out. Was pretty dissapointing, but someday hope to get these cables as everyone seems to say that it will work. 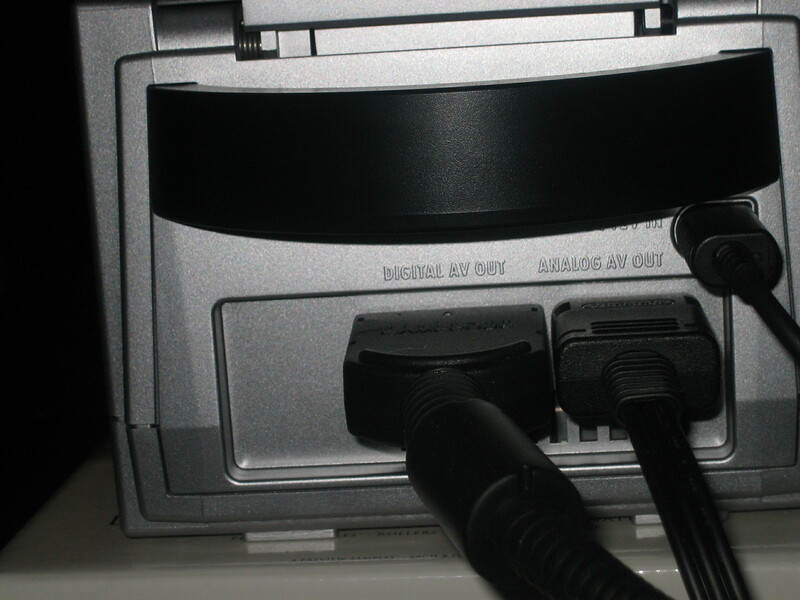 I never thought id hear "I care most for clarity of picture... hence why I'm using my gamecube on a 14" beautiful flat CRT Symphonic from Walmart"
I definitely think that it is work getting the component cables for the gamecube. I have a 46" DLP and they made a huge difference, appearence and framerate. 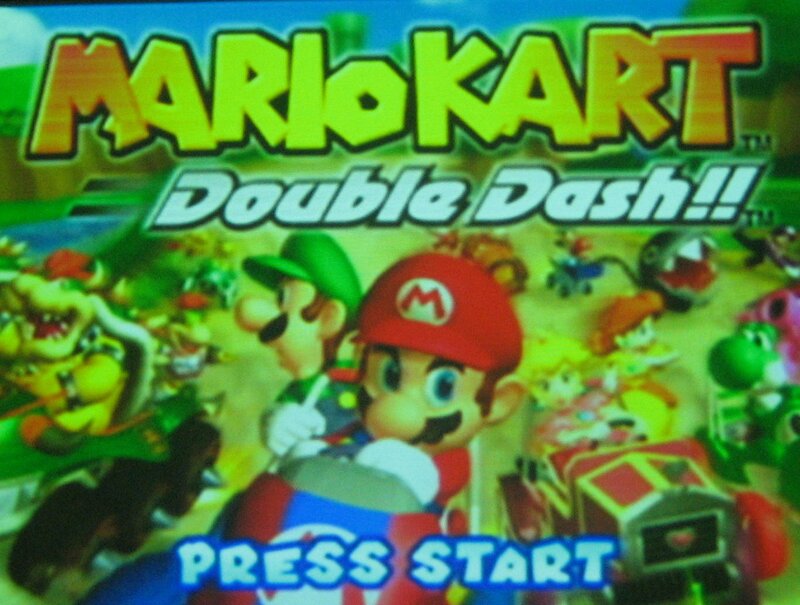 The cables are expensive, but really take advantage of some good games still around on gamecube. I ended up paying $45 shipped on ebay. I think with so many people getting lcd tv's these days that some manufacturer could produce these cables and fill a market niche. I see these component cables selling on eBay and Amazon for around $80 now. That's ridiculous. Sure, I would like the benefits of component video for Gamecube, but mostly I would like to be able to even play it on my HDTV! 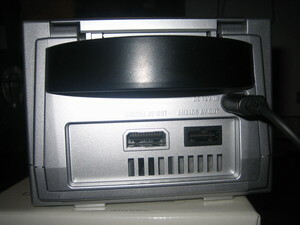 Right now, my Gamecube is plugged into my video capture card on the computer. It's a bit ridiculous at this point, a wii is 249$ and you can get component cables for the wii for less than 20$, the wii plays all the gamecube games, so why bother anymore. The cables should be around 30$ eventually. 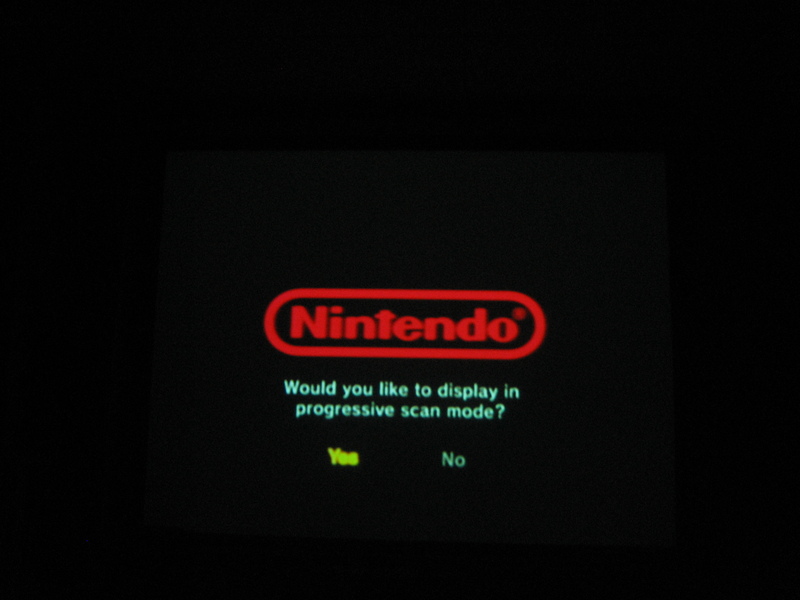 I have a suspicion on why progressive scan doesn't work everywhere. I suspect most games render out in progressive, like on Dreamcast, but unlike on PS2, where most games just render the currently visible field, paying with line flicker and an occasionnal jitter. 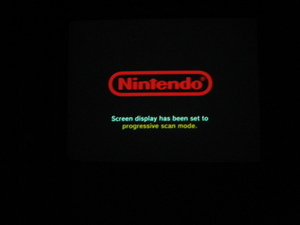 However, if the game runs any picture post-processing (blur etc), which needs multiple frame buffers, it is likely to be done on one field only to conserve the scarse graphic buffer RAM and some fillrate, thus the final buffer to be output containing only one field, like usually on PS2, hence no progressive scan. 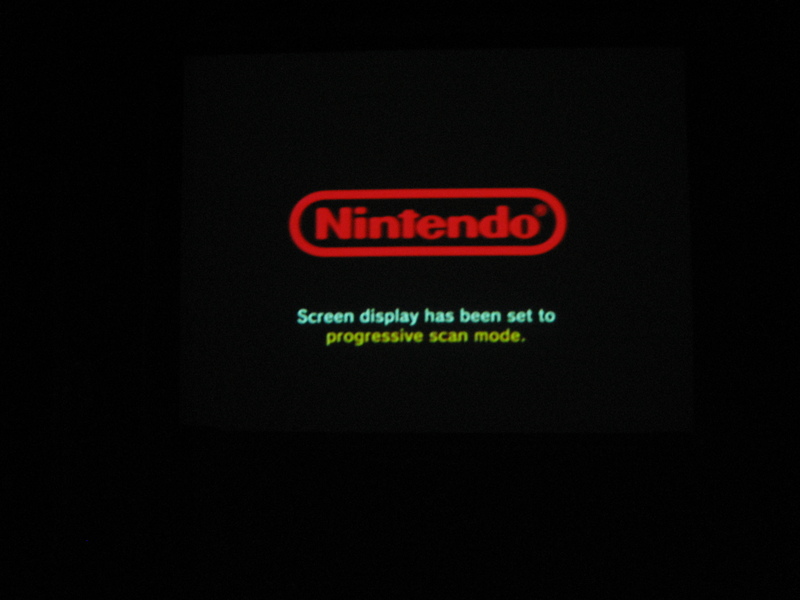 In case this wasn't implied, you can play GC games in Progressive Scan mode on the Wii the exact same way you do for the real GC. One game that is missing from the list on the other page is Star Fox Adventures. Hi! You didn't said anything about whats going t happen with the game that are not able to support the progresive scan, also let me know if I use my gameboy player it will be any difference between the graphics with the Digiyial or anolog connection? does anyone know if a gamecube with digital output is worth anything more than ones without? i have one like the one described above..